All about the Thessaloniki Day Tours. 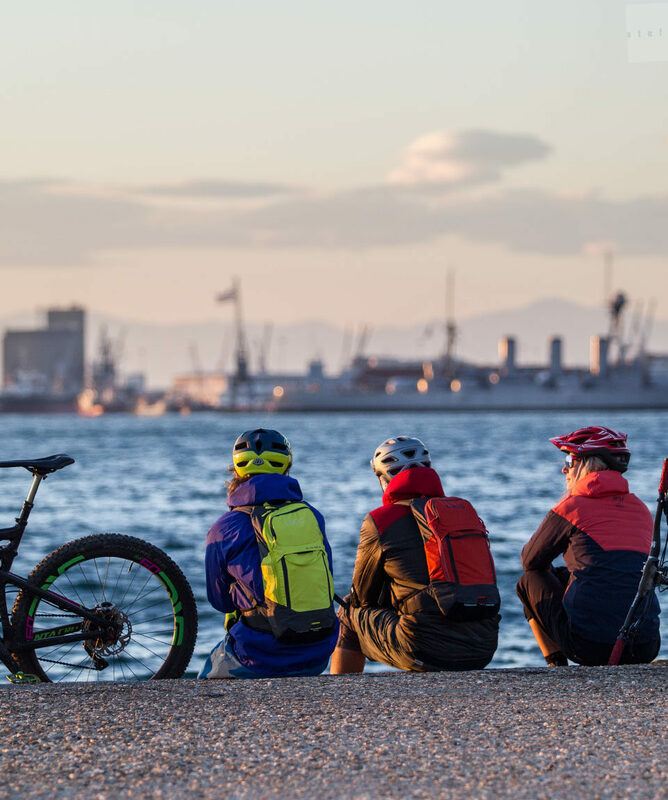 Mountain biking at the beautiful city of Thessaloniki, home of Outline with great trails around for all level of mountain bikers. Come and join us for a ride to experience a whole different aspect of this splendid and well known mediterranean city break destination. Thessaloniki offers lots of historical monuments, a great shopping centre and some notorious bars and restaurants. Outline Adventures offers a variety of daily mountain bike tours, depending your level and the kind of biking you prefer. We ride from the city centre and back again, at a hidden pinewood suburban forest! The Thessaloniki Day Tours begins from our office which is located at the historical city centre in a very convenient spot to begin our ride. 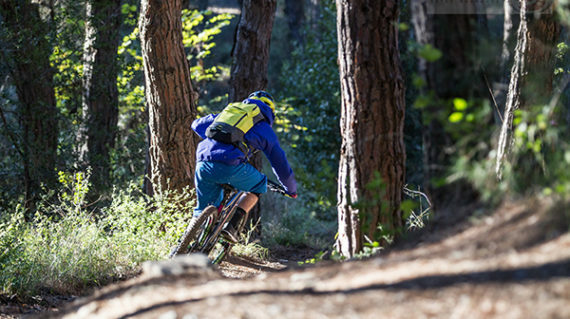 Our biking tour deploys through the pine, suburban forest of Thessaloniki. You will bike through forest routes and single trails until we reach the top of the hill and make a break to have a cup of tea and admire the city view and the Aegean Sea. After our break we will start our way down some easy to moderate single tracks and forest routes, till back to our office, where a cold Greek micro-brewery beer will be waiting for us! It all depends from your request and your Skill and Fitness Level. 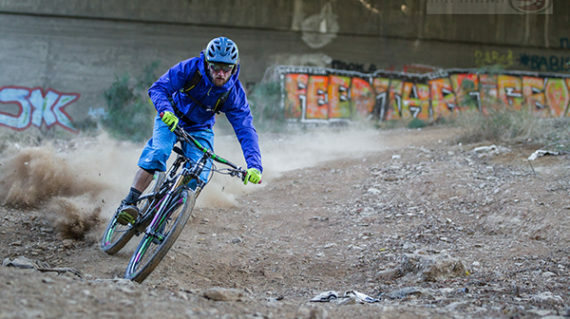 Thessaloniki offers all the options for any level of mountain biking. We will customise basically the tour for you and your group needs. You will also have the chance to upgrade your skills under our Guides supervision. All our rental bikes are professionally and authorised serviced by Outline’s Service Department. If you have your own bike and equipment, make sure that it has been professionally and authorised serviced, including all suspensions and your equipment is in proper condition. We provide rental equipment of certified brands and in perfect condition. After the tour you will have the chance to taste a fresh made, multi awarded beer from a local microbrewery! Optionally we can make arrangements for you and your company for a nice after-ride tapas lunch in a local, cozy, traditional Greek tavern. After all you are in Greece. You have to spend some quality time for mediterranean flavours. The Day Tours are basically tailor made tours, depending your ride preference and activity level. 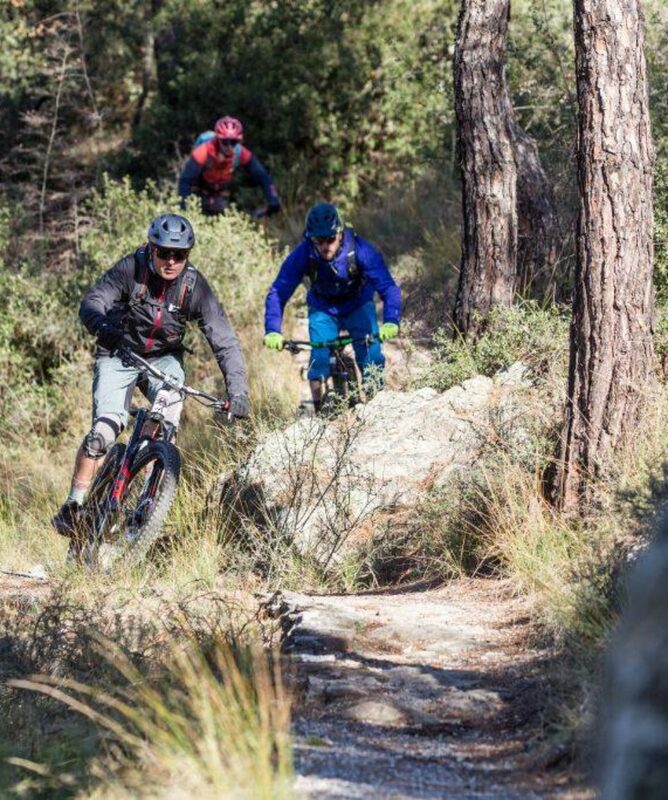 Nevertheless there are three basic ways of how we will enjoy the ride at the suburban forest and the trails around Thessaloniki. 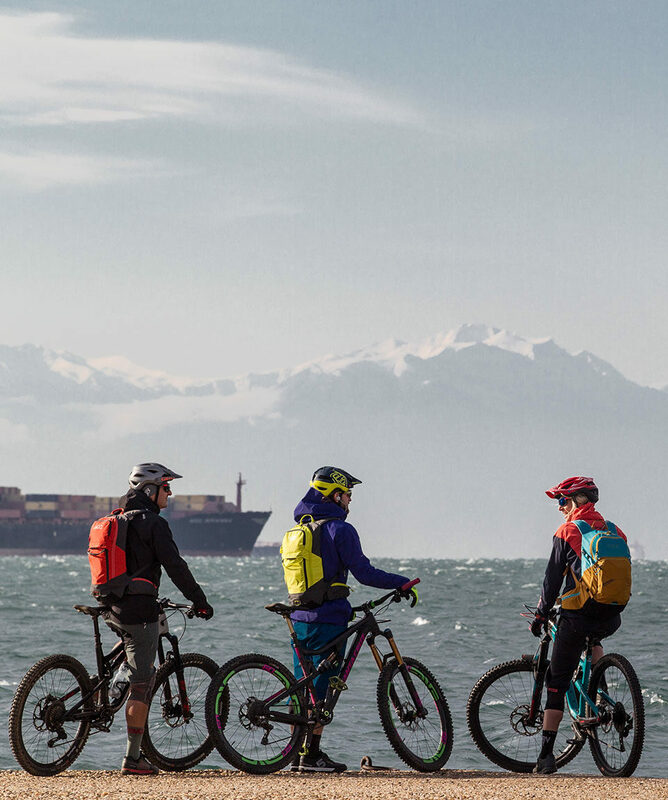 Is the duration of this tour flexible?What is the group size of this tour?What is the age range of travellers for this tour?What is the weather conditions at these areas?I am an expert mountain biker. Can I have an epic ride?What kind of mountain bike can I hire? Is the duration of this tour flexible? What is the age range of travellers for this tour? I am an expert mountain biker. Can I have an epic ride? What kind of mountain bike can I hire? The duration and dates of this tour are as flexible as they can be. It all depends from your will and level of riding and from our availability. The maximum of the Daily Tour duration is 3 hours. We only run small group to ensure that everyone has the best experience possible, and there will generally be between 2 and 6 people in each group. The minimum number of people we require for this tour is one person. Typically the riders of this tour are between 20 to 65 years old. We welcome anyone 18+ years old. For participants under 18 years old, the parent(s) must sign the Release of Liability. As long as the riders fulfils the Skill and Fitness level for this tour, age does not really matters. Typically Mediterranean weather. Thessaloniki has very nice weather conditions for mountain biking almost all year long. Yes we can provide a high level bike and equipment and some epic guided tours for experts. Keep in mind that you have to inform us appropriate about your level and kind of riding you prefer, in order for us to be as prepared as possible. The cost will increase depending the request and you will be informed upon the request. The bike hire and it’s insurance for this tour is included at the tour price. We will arrange for you the kind of mountain bike needed, depending the Skill Level of the tour and your riding experience. We will inform you for what bike and specs in order for you to proceed to the reservation.